James is the Director of CSIRO Futures, the strategic advisory arm of Australia’s national science agency. He leads a team that builds on CSIRO’s deep research expertise to help clients create sustainable growth and competitive advantage by harnessing science, technology and innovation. He has recently led a number of large, national-scale initiatives, including the Low Emissions Technology Roadmap, an independent, science-based analysis of technology options in the energy sector that can help Australia meet its 2030 emissions reduction target and create new opportunities for local industry. He has also led the development of CSIRO's Industry Roadmaps. Developed in collaboration with Australia's Industry Growth Centres, these roadmaps identify long-term (horizon 2 and 3) sector opportunities for Australia and analyse the role that science and technology will play in unlocking these opportunities. 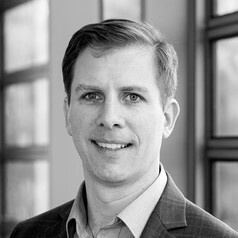 James has over 20 years of experience leading high-impact strategy projects with a focus on the role that science, technology and innovation play in creating competitive advantage and sustainable growth. He has worked with government and Global 2000 commercial clients across four continents in a diverse range of industries including energy, resources, financial services, manufacturing, and high-tech. He has a Bachelor of Science degree from the Massachusetts Institute of Technology.